What better way to promote your brand than to have your logo printed on an everyday essential like a Tasman Branded Mug? Features include stainless steel interior and exterior as well as push on lock top. 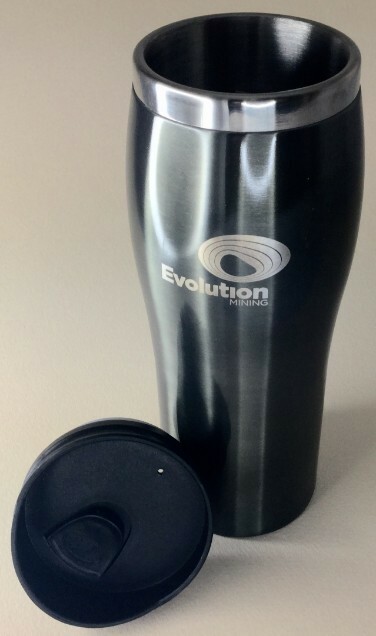 Item is designed to easily fit in most car cup holders and can hold as much as 473ml of hot or cold beverage. 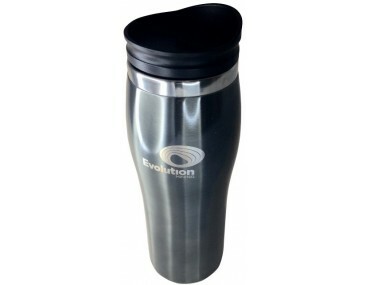 Ideal as corporate souvenir during expos and product launches. Printed mugs have a 45mm x 45mm print area. Price listed includes one colour one position printing. Product can be Laser engraved at no extra charge. A setup fee of $60 will be charged.